Tamera Mowry-Housley and her husband, Adam Housley, have confirmed that their niece, Alaina Housley, was killed in the shooting at the Borderline Bar & Grill in Thousand Oaks, Calif. "Our hearts are broken," the couple said, in part, via their rep Chantal Artur, as reported by USA Today. "Alaina was an incredible young woman with so much life ahead of her and we are devastated that her life was cut short in this manner." They added, "We thank everyone for your prayers and ask for privacy at this time." Our hearts go out to Alaina's family and all of the families of the victims. TV personality Tamera Mowry-Housley has been trying to locate her and husband Adam Housley's niece, Alaina Housley, following the tragic mass shooting in Thousand Oaks, Calif.
On Thursday, Nov. 8, 2018, Mowry-Housley took to Twitter to learn more about the possible whereabouts of Alaina. Responding to Alaina's Pepperdine University suitemate Ashley who was posting information about the young woman in an effort to find her, the former Sister, Sister star wrote, "[Ashley] this is her aunt Tamera Mowry Housley. Can you please DM me your information?" Ashley replied, noting that she'd been in contact with Mowry-Housley's husband and, unfortunately, did not have further information. As reported by Us Weekly, Alaina went missing after a man opened fire at a country dance bar — the Borderline Bar & Grill — in Thousand Oaks, Calif. late on Wednesday, Nov. 7. The bar had been holding an event for college students with at least 100 guests at the time of the shooting. At least 12 people were killed in the attack. Many others were treated at nearby hospitals (via CNN). The Los Angeles Times reported that Mowry-Housley's husband, Adam Housley, had visited the Los Robles Regional Medical Center in the early morning of Nov. 8 in an effort to find Alaina, but he was unable to search for her because the hospital was on lockdown. According to the paper, 18-year-old Alaina's Apple Watch and iPhone still showed her location as being at the bar. "My gut is saying she's inside the bar, dead," Housley stated. "I'm hoping I'm wrong." Alaina is reportedly the only one of her group of friends who was at the bar that has not yet been accounted for. 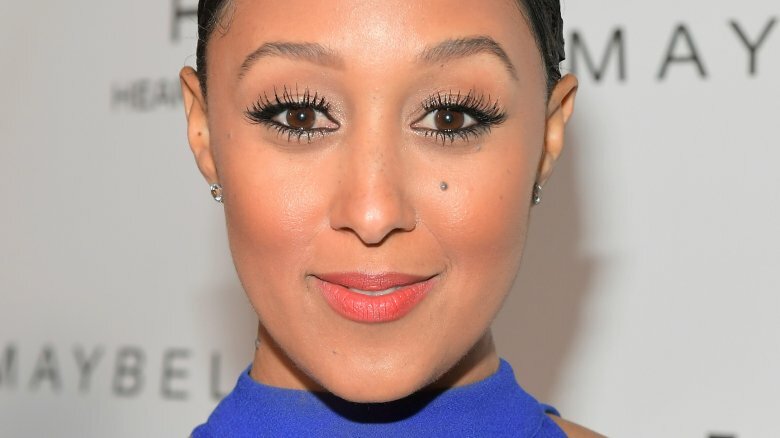 Mowry-Housley's twin sister, Tia Mowry has also tried learning more information about Alaina. "Woke up shocked. Please pray. Please pray," she tweeted out on Nov. 9. "I am numb." She also shared a photo of herself with Alaina on her sister's wedding day on Instagram, writing, "If you know anything or any information please let us know."